"My course gave me access to the equipment and the facilities I needed to experiment with my video work. Before I came to Plymouth, I had never owned my own camera and now I am experienced with a range of DSLRs, sound equipment and fixtures!" 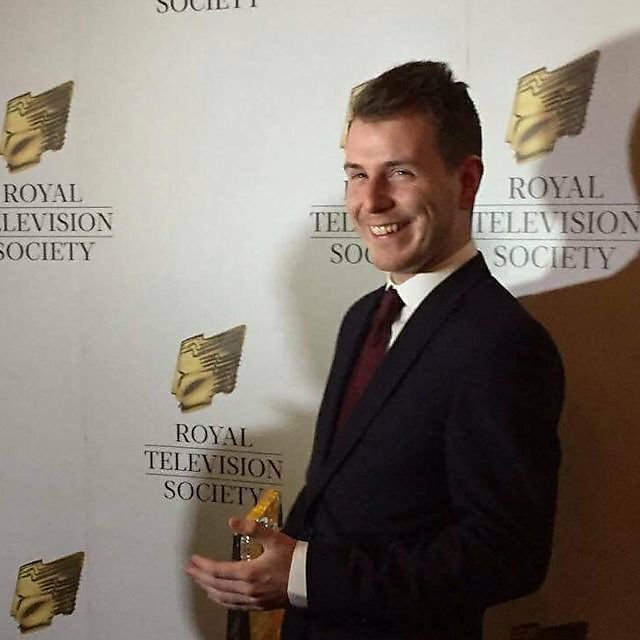 Since graduating, I have been working for the University of Plymouth, first in the Campaigns Team and now in the Multimedia Team. In the Campaigns team, my role was very digital marketing focused; creating, taking and manipulating images for use in advertising, e-mails or social media, managing the University’s student blogs (and even writing my own!) and the PlymUniApply social media accounts, among many other things. Now I have joined the Multimedia team as a Production Adviser, I am back to my roots as a filmmaker. 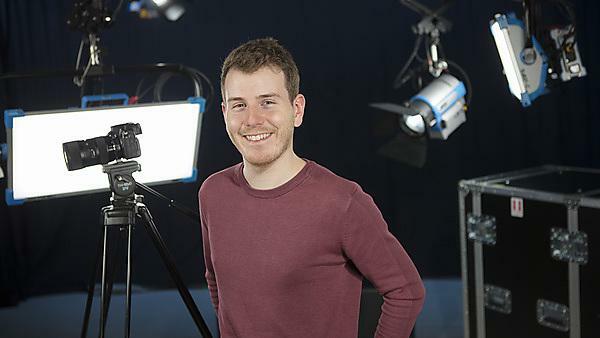 Using my skills from my degree and my previous job, I am now creating high quality videos for the university’s marketing, recording interviews and big events such as graduation, and I also helped to create the Clearing advert for the university. I’m very excited for the future and I can’t wait to see what I can accomplish. At the same time (and even throughout my studies) I’ve also been freelancing as a self-shooting director, where I record promotional videos, documentaries and adverts for local businesses. I’ve worked with clients such as Le Vignoble, Plymouth City Council, the Devon Wildlife Trust and now I’m glad to add the University of Plymouth to that list! 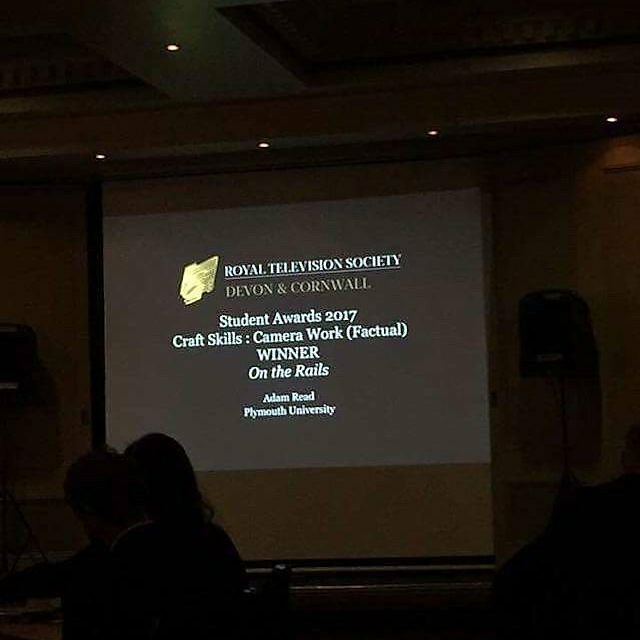 Recently, I also attended the awards evening for the Royal Television Society Devon & Cornwall Student Awards, where my final year documentary, On The Rails, was entered. I was so pleased that I walked away with the Camera Work award for the best skills in my category. I also recently directed a short film alongside current University of Plymouth students that was a finalist at a film festival – a huge change from my usual work but it was exciting and something different. I originally decided to come to University to improve my video skills. It’s always been my true passion, and my previous line of work as a wedding videographer was a great introduction to the profession. However, I was almost entirely self-taught and I wanted to focus more on improving myself, my skills behind a camera and create work that I could be truly proud of. Since graduating, I have become more well-rounded and not just a camera operator. I have improved my direction, my editing and my animating as well as learned a whole host of other marketing-related skills. I feel like my degree was the foundation for all of this and gave me the opportunities I needed to grow and develop. I would say working as a freelancer can be challenging. You have to put yourself on the line often and you need a strong online presence, a good work ethic and a lot of luck to find the jobs you need to pay the bills. I can’t say if I would take the plunge and become a freelancer full-time, but I am happy working on projects alongside my marketing position when I find the time! In my previous role in the Campaigns team, I’ve played a part in creating a number of advertising campaigns. Some of my creations include digital banners, animations to go on the House screen on campus, videos to promote open days at the University and I even created the University’s first ever Snapchat ad! One of the most impressive things I’ve done was to even animate a section of a video that ended up being shown in cinemas around the country – hopefully one day my own work will be played on the big screen! I would take advantage of even more opportunities that the University and the Student’s Union has to offer. There are so many events and clubs that you can join – I wish I had joined one in my first year instead of waiting! Don’t get discouraged - with practice you will always improve. Do some research into new techniques, your competitors, your inspirations and put them into practice! You will definitely surprise yourself with what you’re capable of. In my second year, I directed a group project to create a multimedia marketing campaign for a YCN live brief. It was a large project that involved setting up a film shoot in the Peninsula Arts Gallery, sourcing props and working with acting students. It was a lot of hard work, but it was really rewarding to get an insight into the work that goes into creating a marketing campaign (something that definitely came in handy for my current job!). I was so excited to hear that our project had been commended and we were all invited to the YCN student awards in London. This was a huge achievement as we were competing against entries from all over the UK and Europe, and at the ceremony we were announced as overall winners for our particular brief! It was a great evening and we even had the chance to meet and talk to the company we created the campaign for, and find out what they enjoyed about our work. I made so many friends at university and it’s great that a lot of us still stay in touch. 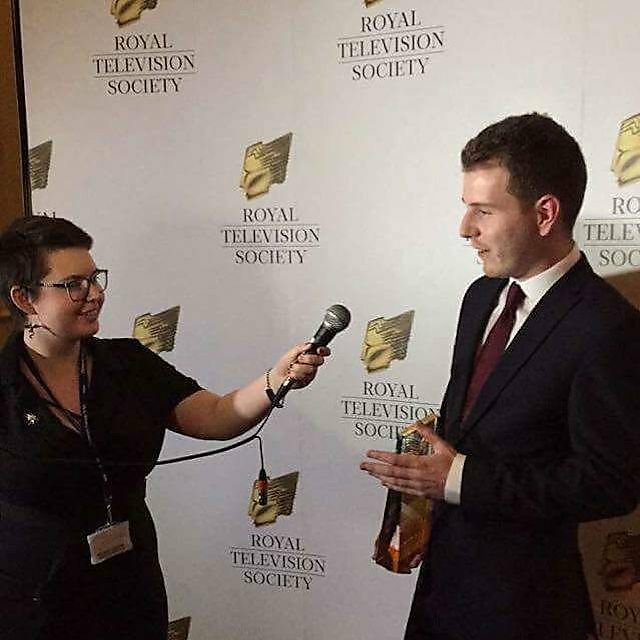 I’ve kept in touch with some of my lecturers and met with them at events and awards evenings since graduating. Coming to Plymouth to study was the best decision of my life – since moving here, I now consider the city my home and I don’t want to leave! You will make so many friends during your studies and there are plenty of opportunities to get involved with the Student’s Union, sports clubs and societies and the huge range of events on offer. Make the most of the beautiful location while you’re here. Go out and explore Dartmoor, take a ferry trip to Mount Edgcumbe, have a nice meal and drinks at the Barbican…there is so much to do down in Plymouth and even now, I’m still finding new things to do!